Smart devices make life easier for us, and from year to year are getting better, safer and cheaper. August brings three new smart devices to the market that will make you sleep more peacefully. The first new product is August Smart Lock Pro + Connect. It is currently the best-featured smart lock that supports Wi-Fi, HomeKit, Bluetooth and Z-Wave Plus standards that allow the lock to connect to existing networks such as Samsung SmartThings. The August Smart Lock Pro + Connect price is $ 279, and it’s on sale today. The second new product is August Smart Lock, which is more like a classic lock. This model has an attractive price of $ 149, which lacks support for the new DoorSense feature. On the other hand, there is no HomeKit support, but can be replaced by Alexa or Google Assistant. Like the Pro version, August Smart Lock is available on the market today. DoorSense will recognise if you have properly closed the door when leaving. August will alert you when leaving when you do not close the door. Auto-Lock, on the other hand, allows you to set the time for the door to lock automatically. Another interesting feature of the Active Monitoring feature is that it can send a notification, for example, when children return from school or when the cleaning service leaves the house. Active Monitoring is currently in beta testing. 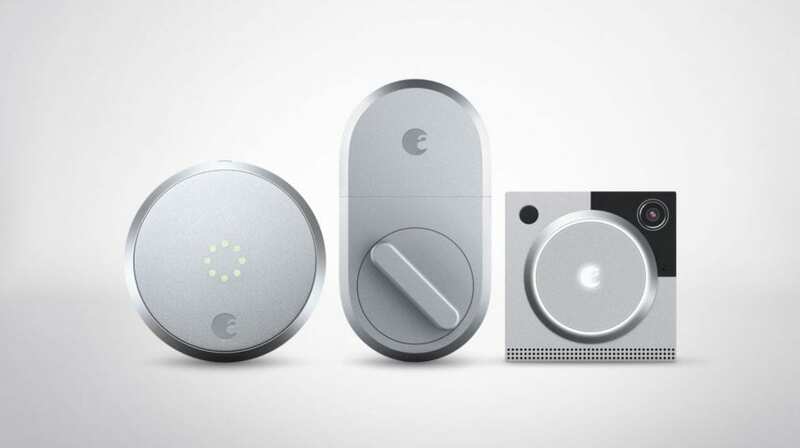 The third and final product is the August Doorbell Cam Pro. This smart bell alerts you by sending notification if someone rings you, or if there is some movement before the camera close to the door. With August you can see who rings even if you are not at home. This new generation of the bell has a built-in light, which can be a night off for uninvited guests. It is also improved on the software page where the HindSight feature came in. It saves the camera record before any movement is recorded. August Doorbell Cam Pro will be on sale from Oct. 10, but currently pre-ordering for $ 199.